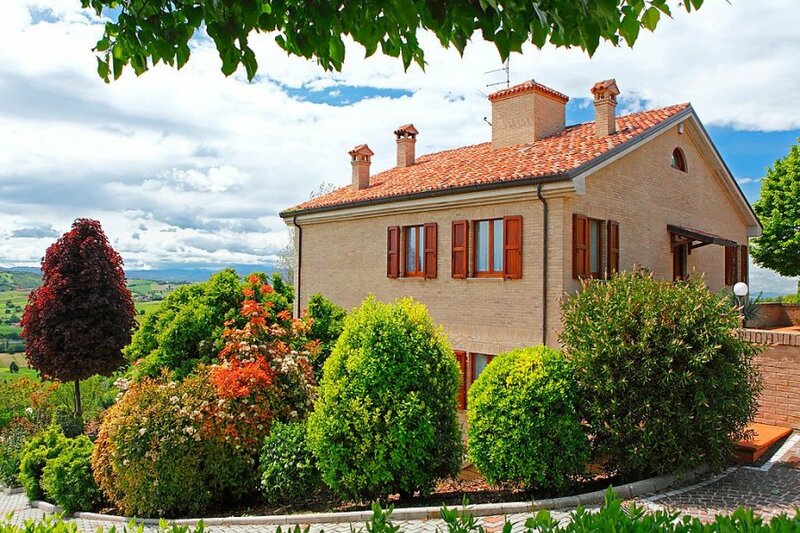 This 5 bedroom villa with private pool is located in Gradara and sleeps 10 people. It has WiFi, air conditioning and a garden. The villa is near a beach. The minimum temperature cannot be guaranteed.. The agent describes this villa as a family friendly holiday rental ideal for the summer holidays; it is also listed in their "Special selection" catalogue so it is one of their most recommended properties. It is also good value for money. The villa has a private pool and is located in Gradara. The nearest airport is 95km away. It is set in a convenient location, 5km away from a beach. The villa has free wireless internet. You can also park on-site at no extra charge. The villa is well equipped: it has air conditioning, a dishwasher, a microwave, an oven, a washing machine and a TV with international channels. The property has a sauna; it also has a BBQ, a garden and a whirlpool. The villa is suitable for elderly guests.